Hundreds of kids are queuing to get in to FIL niñjos, the children’s section at the International Book Fair in Guadalajara. They are here to meet Pippi Longstocking and other famous children’s books characters. 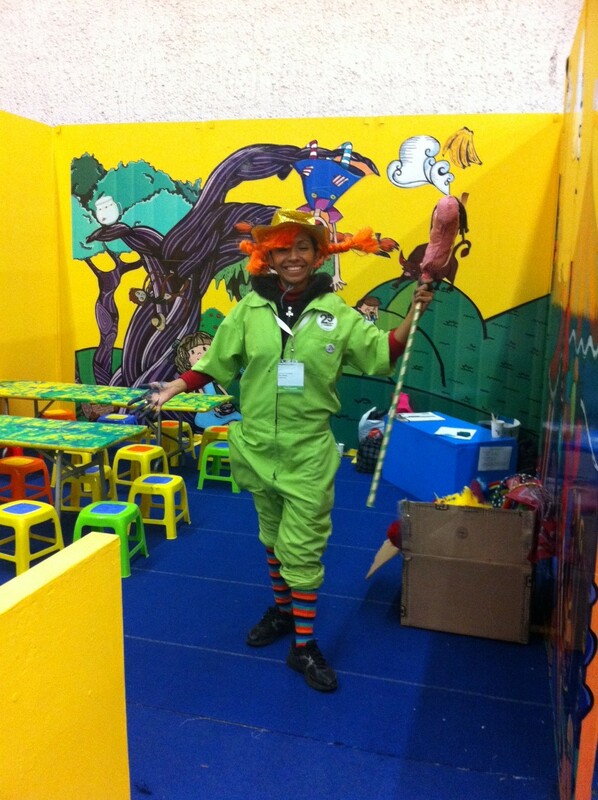 The Book Fair arranges workshops and readings for children age 3-12 years to promote reading. This year the younger children (age 3-6) get to go to the circus with Pippi Longstocking. The children get to paint, walk the line and play with Pippi’s monkey Mr Nelson. – We want stimulate children’s reading and when they get to know Pippi they want to hear more so I tell them to read the books, says Liliana Carrasco Trejo who plays Pippi at FIL niñjos. The Book Fair also gives students of the high schools in Guadalajara the opportunity to gather in their own schools with writers visiting FIL. The Swedish author Monica Zak, nominated for the ALMA 2012, is one of the writers that have met with students in Guadalajara. Shaun Tans film The Lost Thing was shown at the opening ceremony of the International Illustration Forum (FILustra 2011) at the International Book Fair in Guadalajara yesterday. Over a hundred people had gathered to see the film. Shaun Tan, who couldn’t make it for the Book Fair this year, sent a special greeting. 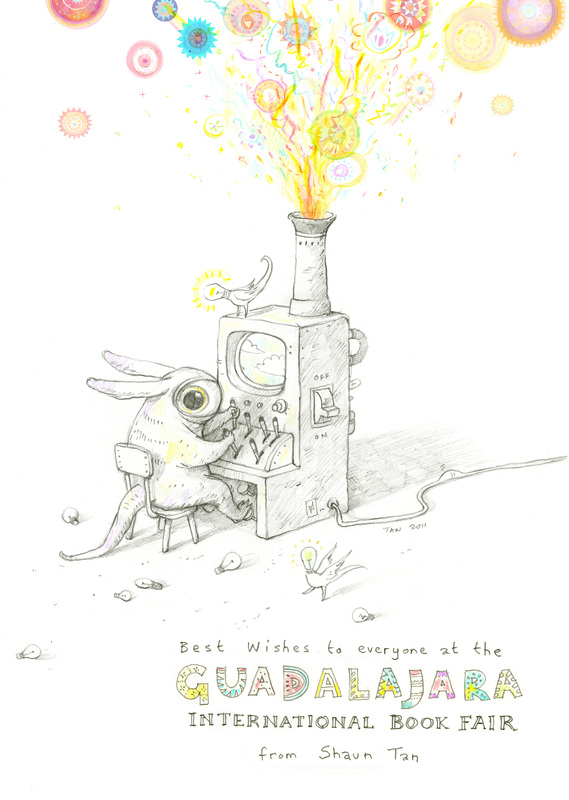 A greeting from Shaun Tan, especially made for the International Book Fair in Guadalajara. 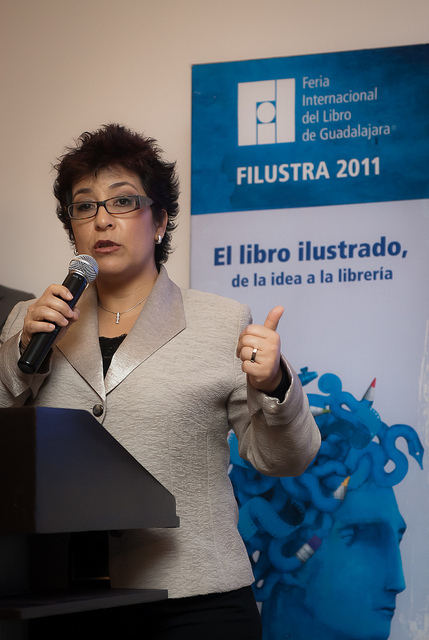 The Director for the Book Fair Guadalajara, Nubia Macías, held the opening ceremony of FILustra. Afterwards the German illustrator Jutta Bauer, nominated for the 2012 Astrid Lindgren Memorial Award, made a presentation about “The art of illustrating stories”. Nubia Macías. Photo: FIL / Gonzalo García. Tomorrow the world’s most important publishing gathering in Ibero-America opens – the Guadalajara International Book Fair in Mexico. 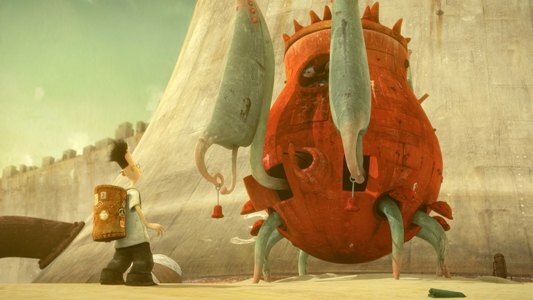 The Astrid Lindgren Memorial Award is invited as guest of honor, and furthermore, this year’s recipient Shaun Tan, will be especially honored as his animated short film The Lost Thing will be screened at the opening ceremony of the International Illustration Forum (FILustra 2011). – We are tremendously happy that the fair honors the award and this year’s recipient Shaun Tan, says Rebecka Svensén, director of the award office, who will attend the opening ceremony of FILustra. 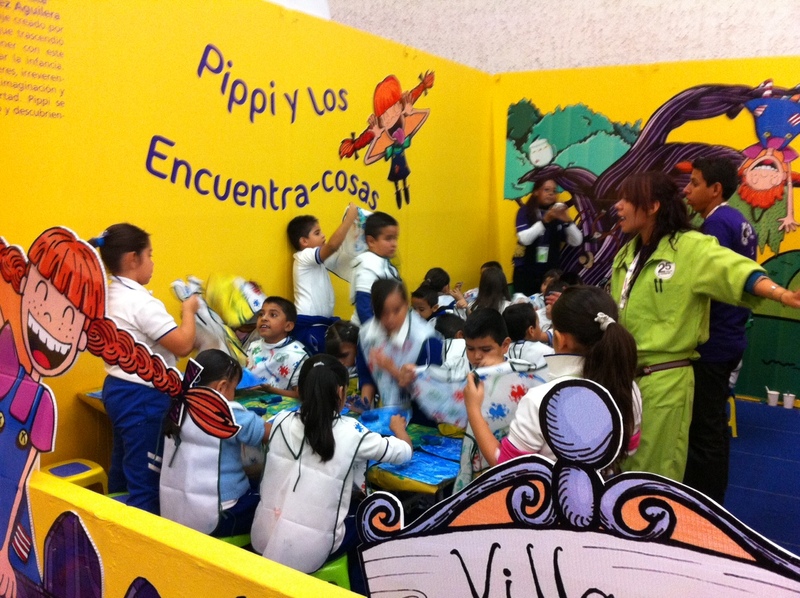 The Astrid Lindgren Memorial Award has collaborated with the book fair in Guadalajara for several years. Last year the 2010 ALMA recipient Kitty Crowther attended the fair, as the 2009 recipient the Tamer Institue did the year before. Shaun Tan has visited the Guadalajara earlier, but wasn´t able to attend this year. 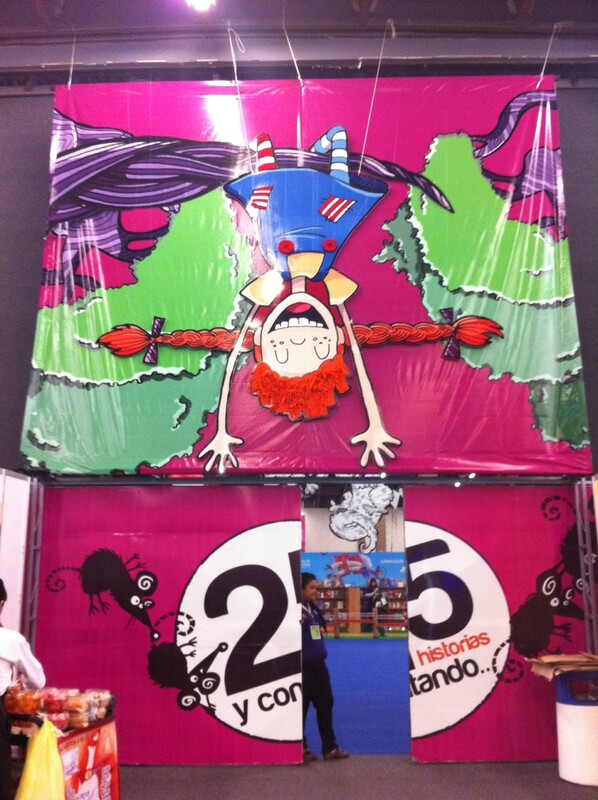 The Guadalajara International Book Fair is the most important publishing gathering in Ibero-America. It is also an amazing cultural festival. Created 25 years ago, the fair is aimed at professionals and the general public from all around the world. This is the second largest book fair in the world (following the international book fair in Frankfurt), with over 500 000 visitors and close to 2000 publishers from 40 countries! Link to the Feria Internacional del Libro de Guadalajara (FIL) here. Journalist Kristofer Lundström was compere at the award ceremony. Yesterday’s August gala gave us strong emotions in the laureates’ acceptance speeches. Jessica Schiefauer won the category for best Swedish children’s book of the year, with her book Pojkarna (The boys, our transl., Bonnier Carlsen). Among the other award winners were Tomas Bannerhed with Korparna (Weyler Publishing House) in the category for the best Swedish book of fiction of the year, and Elisabeth Åsbrink with Och I Wienerwald står träden kvar (Natur&Kultur Publishing House) in the category for the best Swedish book of non-fiction of the year. The August Prize for junior writers (ages 16 to 20) (“Lilla Augustpriset”) was given to Cathrine Bengtsson for her book Kärlekssvetten. The August Prize is the largest literary award in Sweden and founded by the Swedish Publishers’ Association. 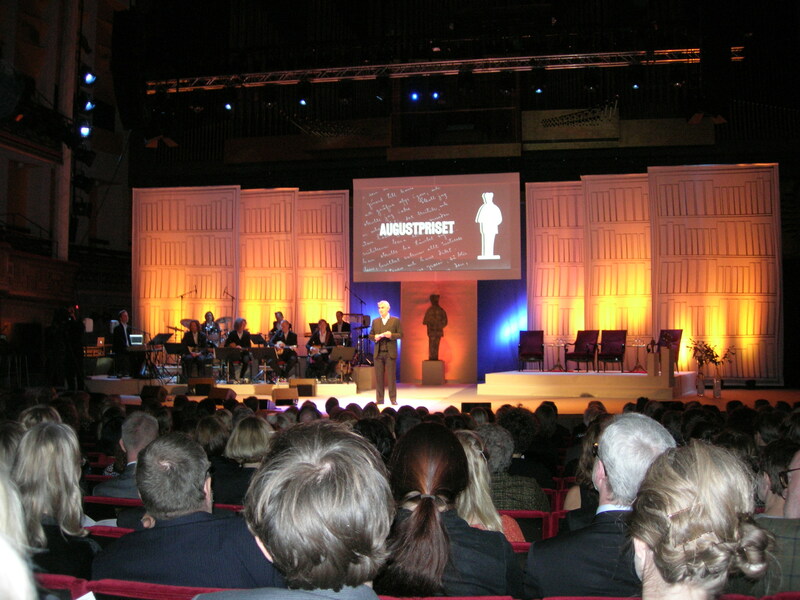 The award ceremony took traditionally place at the Stockholm Concert Hall. Last week the 2003 ALMA recipient, Austrian author Christine Nöstlinger, was awarded the Corine International Book Award for her life’s work. The prize is awarded for outstanding works of fiction and poetry as well as for excellent non-fiction books, and is given for lifelong achievement in writing. The award was presented to the winners during a glamorous gala in Munich on November 17th, and will be broadcast by 3sat on November 22nd. It has received much attention in the media. Christine Nöstlinger, who celebrated her 75th birthday on October 13th, is one of Austria’s most important authors of children’s fiction. Nöstlinger and Maurice Sendak were the first recipients of the ALMA, back in 2003. 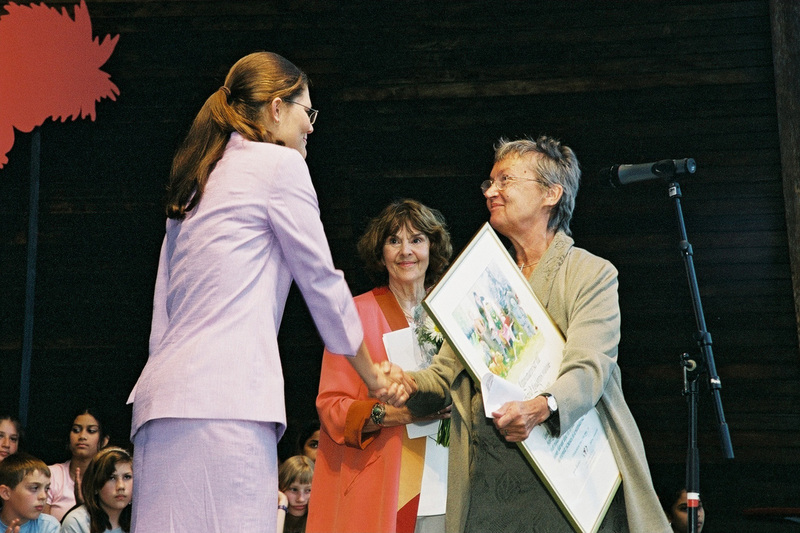 Christine Nöstlinger receives the 2003 Astrid Lindgren Memorial Award from H.R.H. Crown Princess Victoria. Photo: Stefan Tell. And winner of the Astrid Lindgren prize is…. A happy Jan Lööf directly after the announcement at Rabén & Sjögren. 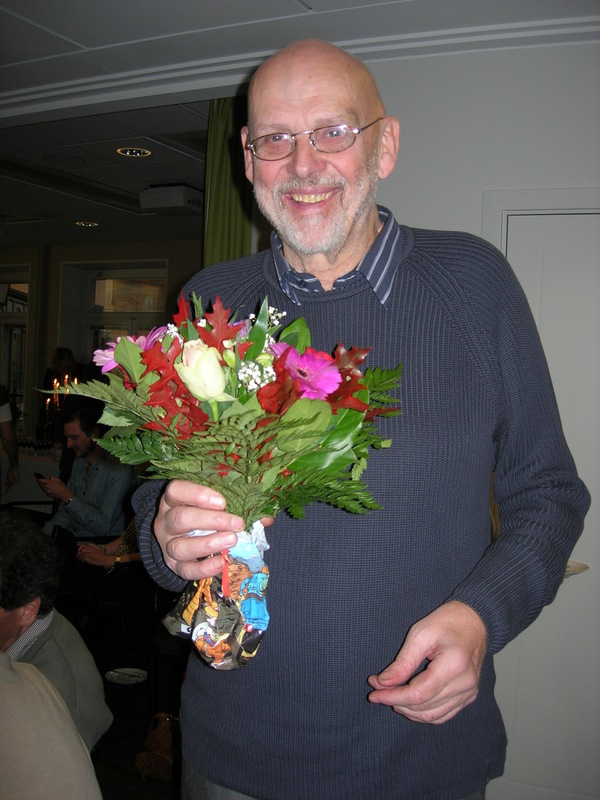 Today author Jan Lööf was announced as winner of the 2011 Astrid Lindgren Prize. Jan Lööf, born 1940, is also one of Sweden’s foremost artists and illustrators, and has inspired a whole generation of cartoonists with his now classical series Felix (1967-1973) and Ville (1975-1976). Today, November 14th, we´re celebrating Astrid Lindgren’s (1907-2002) birthday! Here´s a lovely YouTube clip dated back to 1963. Astrid Lindgren is telling a story from the county of Småland (where she was born), in a legendary Swedish TV-show with Lennart Hyland. Today is also the day for the announcement of Rabén & Sjögren’s Astrid Lindgren prize, instituted in 1967 to mark Astrid Lindgren’s 60th birthday. We´ll get back with more news about the prize winner later on this afternoon…! 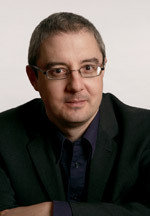 Author/ promoter of reading Conor Kostick from Ireland comments his nomination for the 2012 Astrid Lindgren Memorial Award. Read full article in Primary Times here. 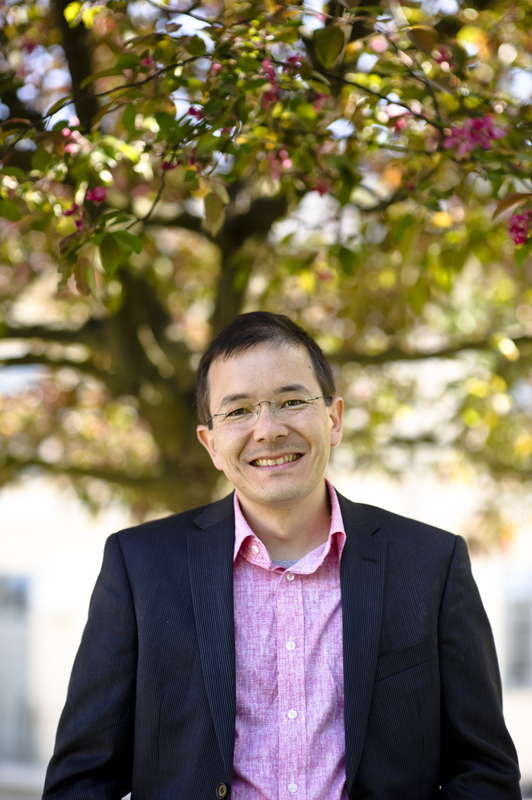 This year’s award recipient, Shaun Tan, has just come back from a trip to Japan. And of course the award office could not resist asking him about his impressions after this exciting journey. – We were very impressed by the hospitality of our hosts and all the new aspects of Japanese culture we discovered, from food to fashion, temple shrines and weird toys, and look forward to returning again sometime. First Shaun visited Osaka, and gave a lecture and workshop for children arranged by the International Insitute for Children’s Literature Osaka (IICLO), then he continued to Toyko, a trip organised by JBBY (the Japanese IBBY). He also did a few days of comprehensive interviews arranged by his principal Japanese publisher. Many journalists, from manga, animation, children’s lit and mainstream newspapers, magazines and TV, mentioned a connection between The Arrival and the recent earthquake and tsunami disasters, where many people have been displaced. – The book seems to have a strong resonance for this reason. My other Japanese publisher, Imajinsha, has also provided many copies of The Red Tree free to victims of the crisis, and libraries which suffered damage; I also provided an English reading that can be activated by readers using a small device that comes with the book. Shaun Tan’s had an extremely hectic year. Before the Japan trip, he visited the Edinburgh Book Festival, and had a small exhibition opening in London, at a place called The Illustration Cupboard. A bigger retrospective of his work has just opened recently at Städtische Galerie Rosenheim, having traveled to other German galleries over the past two years.